Jacqui Shumiatcher’s love for collecting art is matched only by her passion for sharing it. In the 1960s, Jacqui was a docent with the Mackenzie Art Gallery’s travelling art program. She’d take Inuit sculptures from the private collection of her and her husband, Morris Shumiatcher, to schools around Regina where she would let students view and hold the pieces. Jacqui has always collected only art which she found pleasant to look at, a practice she shared with her husband, who died in 2004. The Shumiatchers collected together and apart, amassing pieces too numerous to count over the years. A fraction of their collection is on display at the Mackenzie Art Gallery in the Love at First Sight exhibition, highlighting the Shumiatchers’ Inuit, world, and Canadian art. 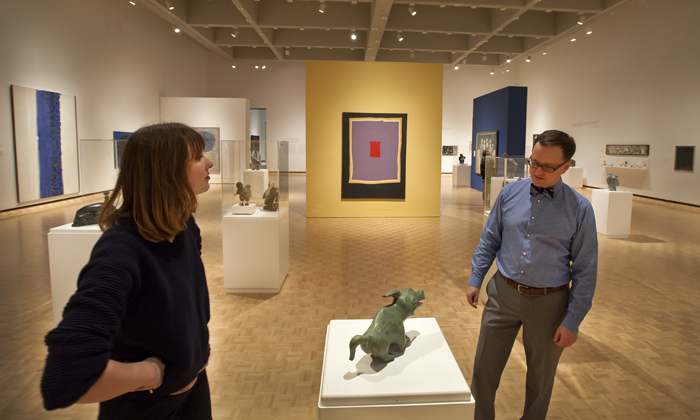 Comprising of works that have been promised to the University of Regina, and some that the Shumiatchers have donated to the Mackenzie Art Gallery over the years, Love at First Sight is a celebration in recognition of the Shumiatchers’ donation of over 1,300 pieces to the University of Regina, says Alex King, curator/preparator for the University of Regina President’s Art Collection. 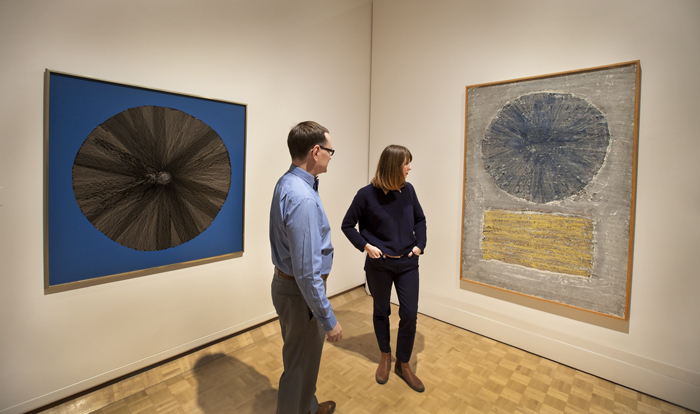 Love at First Sight, jointly curated by King and Timothy Long, head curator at the Mackenzie Art Gallery, captures the full extent of the couple’s collecting activity over the past 60 years. The curators present the works in broad categories but also made an effort to “replicate some sense of how they were displayed in the Shumiatchers’ home,” King says. Before they were married in 1955, Jacqui and Morris collected separately. After they married they continued to collect alone but also together. 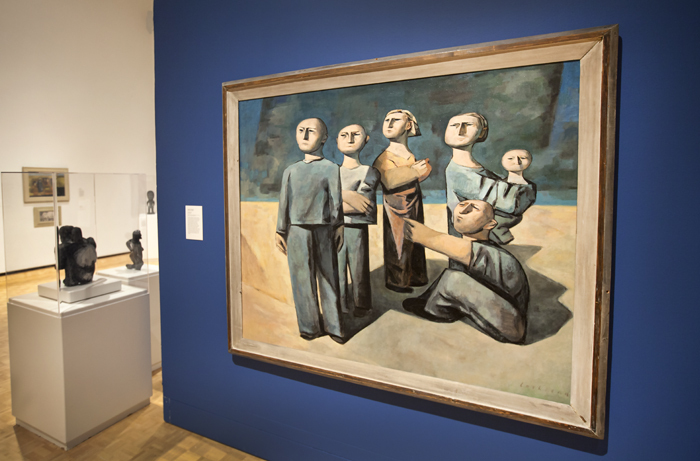 They had been individually involved with the Mackenzie Art Gallery since the mid 1940s and were aware of the works of such developing talents as the Regina Five – Kenneth Lochhead, Arthur McKay, Douglas Morton, Ted Godwin, and Ronald Bloore. 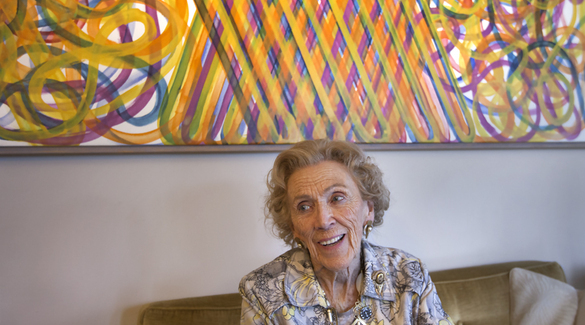 According to Long, The Shumiatchers met Lochhead in 1953 at his first exhibition in the old tower room at the Regina College, struck up a friendship and started buying his art right away. What ensued was a kind of traditional patronage relationship. “They would pay Ken a sum of money per month and then at the end of the year they’d be able to select a piece of work from his studio,” says King adding the Shumiatchers were collecting important work at an opportune time. Jacqui and Morris had a democratic approach to their collecting and many now prominent Saskatchewan painters, who were finding their footing at the time, benefitted from the couple’s support. 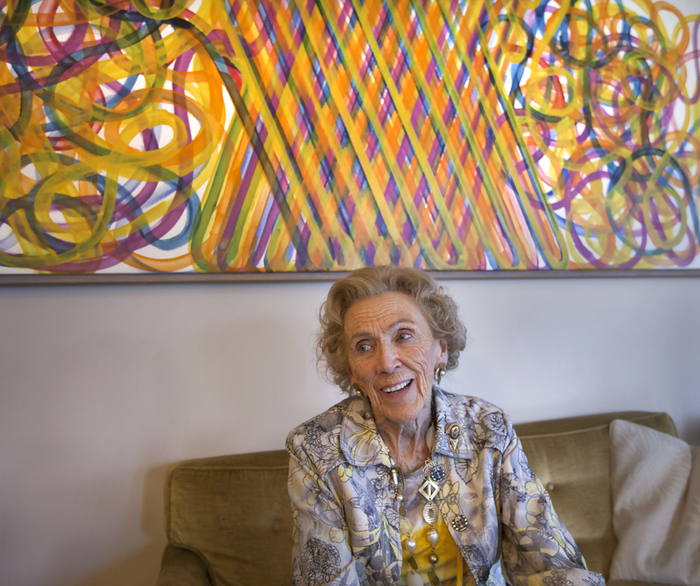 Significant artists like Joe Farfard, Vic Cicansky, Jack Sures and the whole Regina Clay Movement benefitted from their artist-collector relationship with the Shumiatchers, explains Long. 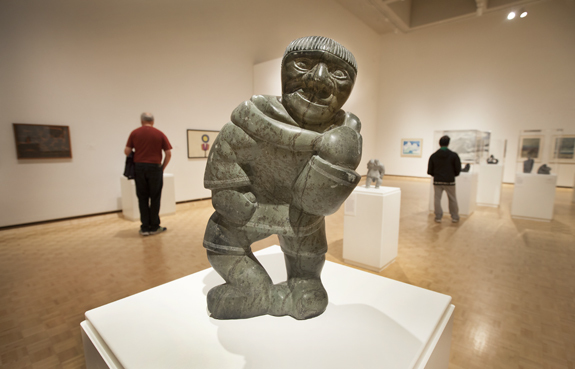 “When Morris bought his first Inuit pieces in 1954, that made him one of the earliest collectors of Inuit art in Canada,” says Timothy Long. 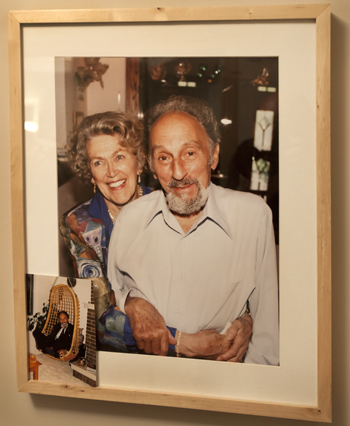 The curators of Love at First Sight have some theories as to the roots of the Shumiatcher’s collecting activity aside from the couple’s democratic eye. Their main theory, which is supported by the detailed diaries Morris kept, is that while he had always had an interest in multiculturalism, a trip to Japan helped kickstart Morris’ interest in collecting world art. In 1940, at the age of 23, Morris received a trip to Japan as a prize for winning an essay contest on cross-cultural relations. “What we learn from his diary is that he was really taken with Japanese esthetics and design and he visited a lot of shrines, parks, monuments, and was generally very taken,” explains King. Morris returned from the trip with a number of masks, woodblock prints and kimonos which are on display as part of the Love at First Sight exhibition. In 1954, fourteen years after his Japan trip, Morris travelled to Lac La Ronge, northern Saskatchewan, where he encountered Inuit art for the first time. “His experience of other cultures enabled him to see these rocks, as his friends were describing them, as really fine objects of art,” King says. Morris brought back four Inuit art pieces from this trip. “So we believe that initial visit to Japan really informed his worldview and enabled him to see things in a slightly different light from his contemporaries,” Kings adds. For Long, the prize-winning essay that kickstarted Morris’ journey is a clear indicator of his opinion around the subject of multiculturalism. Long says Morris was always looking at who was being excluded, and sought remedies. “They saw the importance of collecting Inuit art, of collecting First Nations art, of collecting the work of cultures around the world, as part of this broader vision to unite people,” concludes Long. Long says the Shumiatchers’ belief in the ability of art to unite is consistent throughout their collecting career and continues to fuel Jacqui’s commitment to collecting rare pieces of art and sharing those works with the public. The exhibition Love at First Sight will be up at the MacKenzie Art Gallery until January 3rd.